Lynden, WA (April 29, 2009) Holz Racing Products (HRP) announces their latest Polaris RZR performance innovation, the HRP Billet RZR Motor Mount Kit for both Polaris RZR standard and S models. Unlike the stock rubber mount, the HRP Billet Mount features a housing machined from pure 6061 aluminum with poly-graphite inserts. 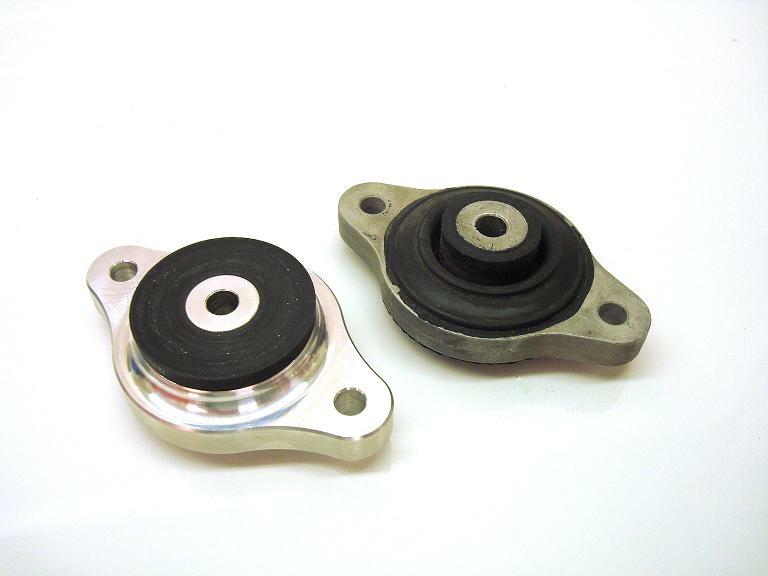 Unlike the stock Polaris mounts, which are susceptible to excessive flex and movement resulting in unwanted engine and transmission deflection, poor alignment, the potential for CV joint and half shaft to chassis contact, and overall poor performance; the new HRP Billet Mount eliminates those power robbing characteristics and potential mechanical failures. Durable poly-graphite inserts are more durable and less prone to failure than standard rubber designs; yet still deliver smooth power without excessive vibration unlike rigid mount systems. 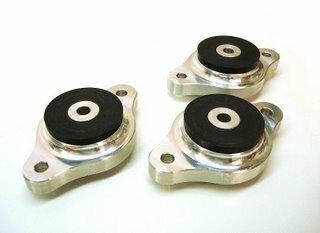 The HRP Billet RZR Motor Mount Kit comes complete with three aluminum mounts, poly-graphite inserts, sleeves and complete installation instructions. As with all Holz Racing Products, the HRP Billet Motor Mount Kit has been extensively tested and race proven under the most grueling conditions and was designed and manufactured right here in North America. Kits are in stock now. Simply log on to www.holzracingproducts.com today and experience improved performance with your Polaris RZR or RZR-S with the HRP Billet RZR Motor Mount Kit. MSRP: $110. For technical assistance call a Holz Racing Products technician at 360-398-7006.